Successfully Added USB Flash Drive Lighter -4GB to your Shopping Cart. Great USB Flash Drive Lighter - What could be cooler than hiding all your data inside a real working lighter? Now you can with this functional USB drive and lighter. 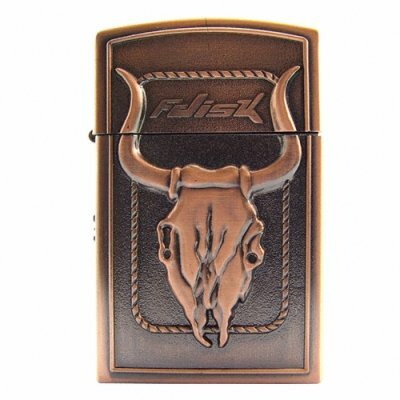 The western cowboy styled lighter is sure to look sharp while securely holding all your important digital files. This lighter is built tough, a full metal body with embossed detailing gives it a good heavy feel and being refillable you'll be able to use it time and time again. A great product for anyone looking for something different as a company catalog gift, an interesting product on a drop-ship internet shop, or just for your own personal use. Grab one today - you won't be disappointed!.